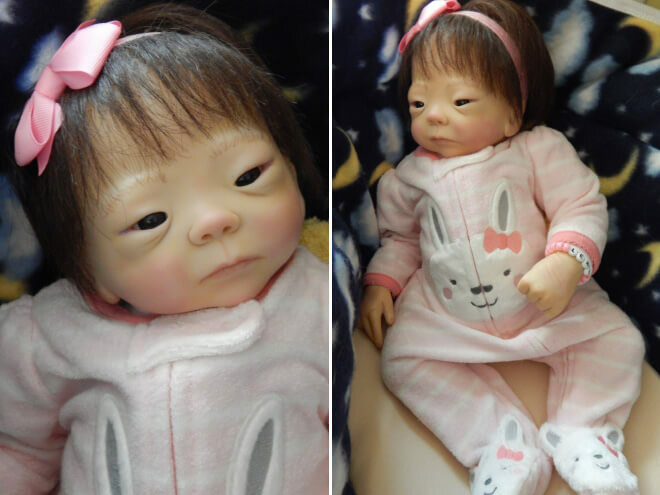 There is a whole trend of creepy dolls. 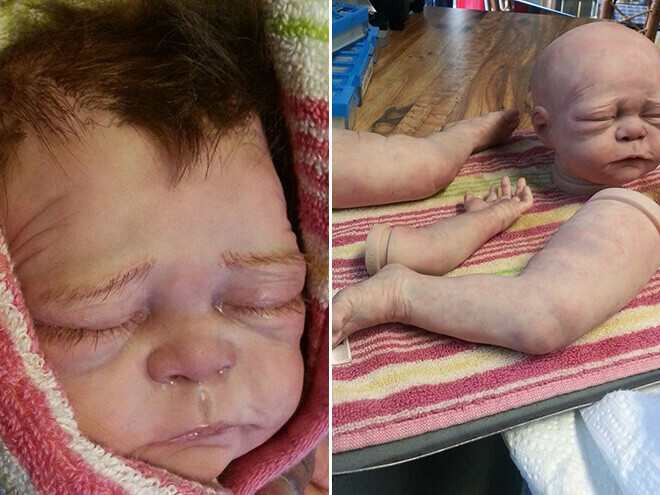 They’re called “Reborns” because they are supposed to look like real babies – That sort of dolls that you can have play a baby in a low budget movie. 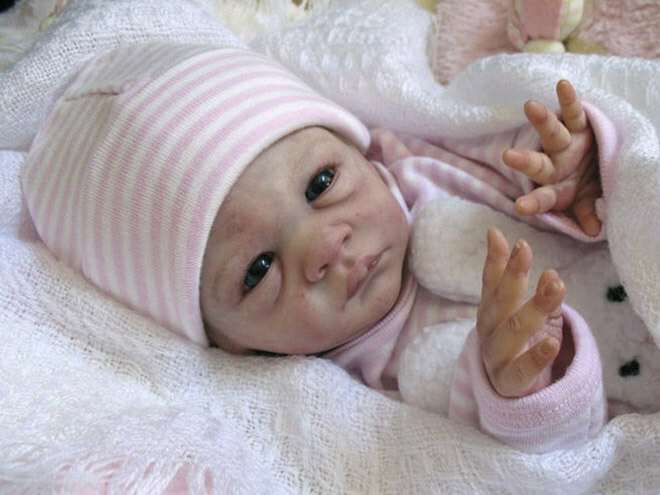 The problem is real life is something different from movies and I can’t really see where these realistic baby dolls would fit in our daily routine. 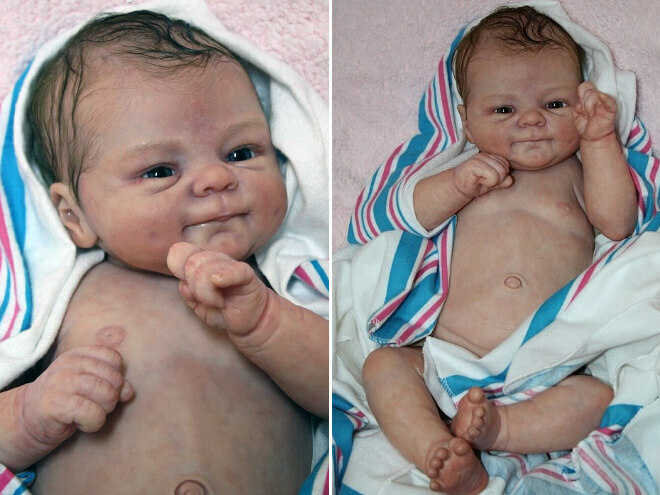 Here are some 15 realistic creepy baby dolls that are wrong somehow. We can’t tell how or why, but they’re really creepy. See for yourselves! So this is how you practice having a baby these days? 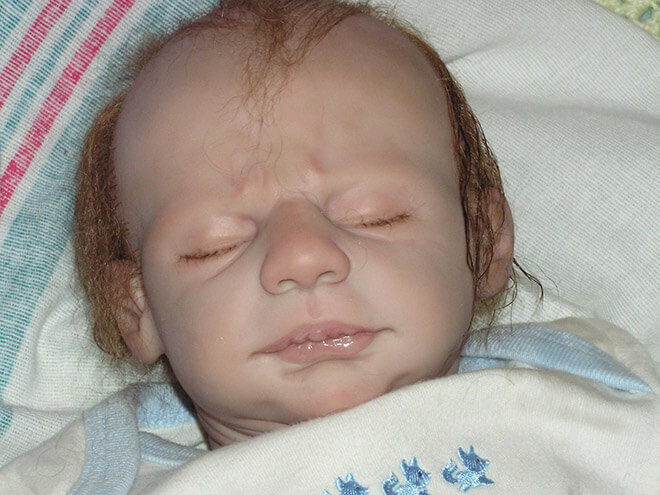 His name is Garett and he is a little baby doll. 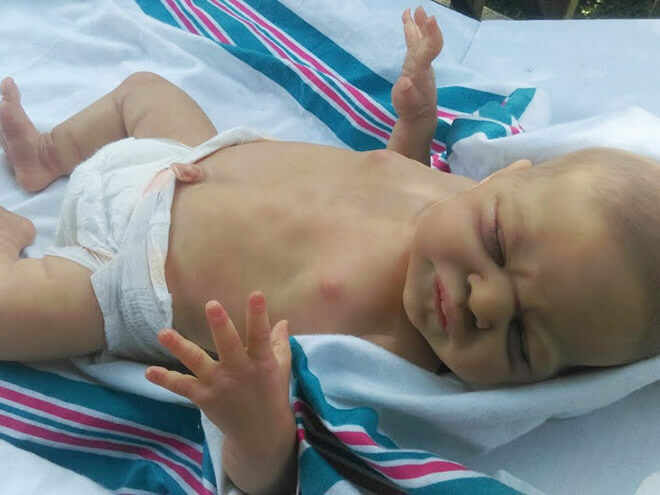 Babies can’t play with him because he’s not Barbie and parents…what do parents do with him? 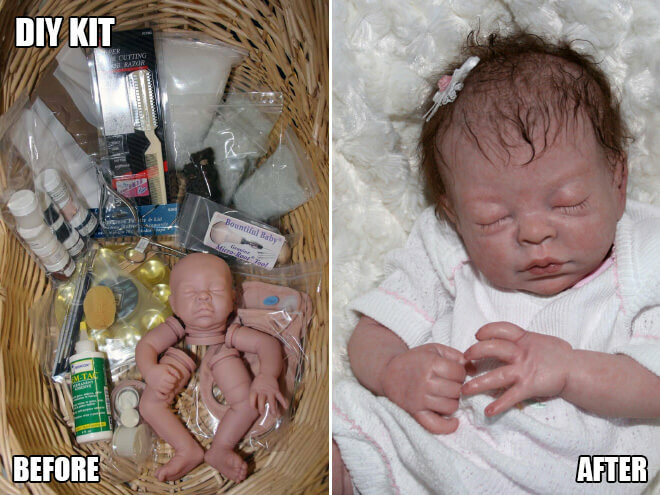 The baby dolls making process is getting too far, don’t you think? He looks like an optimistic little fella’, but why would you make him in a doll? 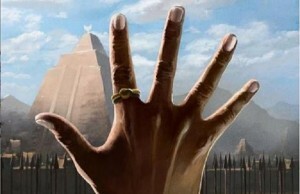 I mean…I give up. 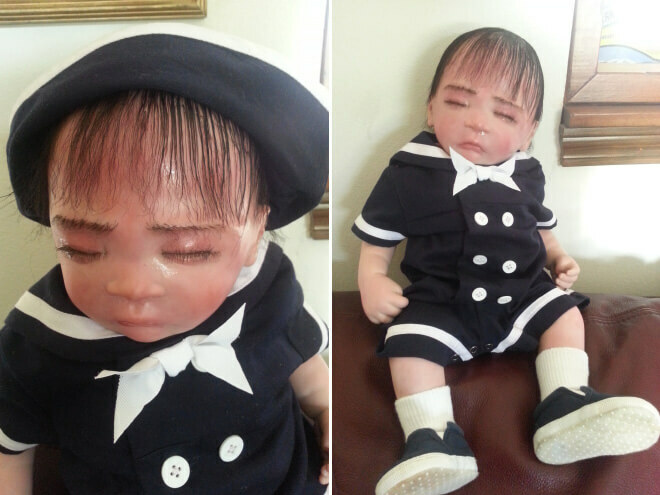 Poor little Cindy, she is just a doll, a creepy doll and that little blue bow on her head…why, people? Why? 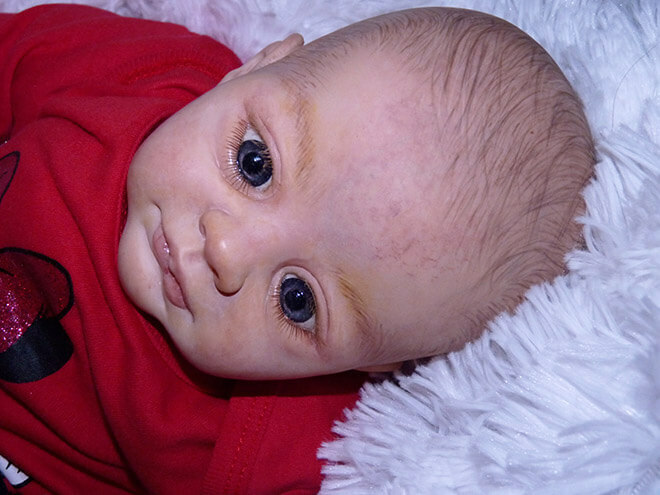 This little fella’ here looks like a very sick baby doll. 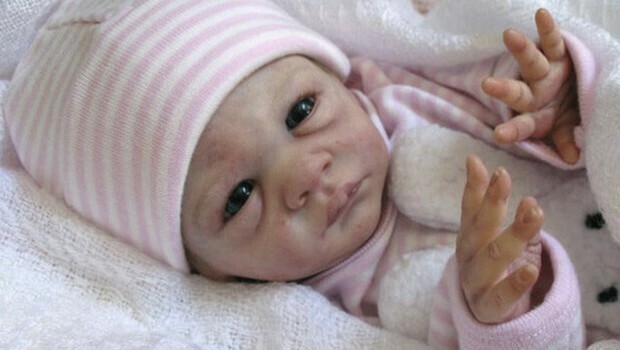 Why would you want to have a doll of a baby that looks sick? 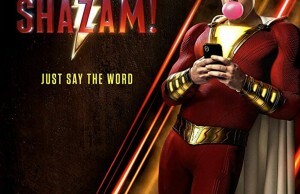 Who did this? One thing I like about Ming…his suit. It’s really cute. 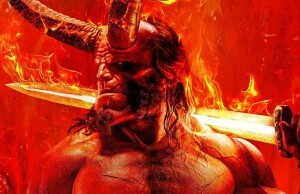 Now, I don’t understand why he has his eyes closed, that sweated hair and what appears to be a running nose. Or is Ming a girl? I don’t know, but If I were a kid, I wouldn’t play with Ming. 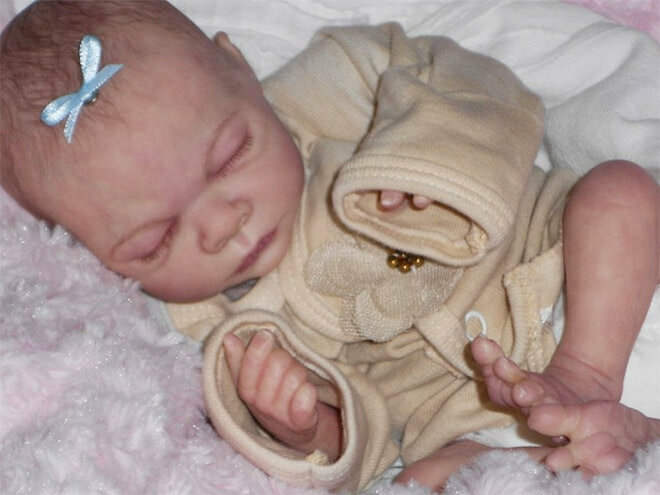 The level of natural this doll has is mind blowing. Still, why would you buy one? 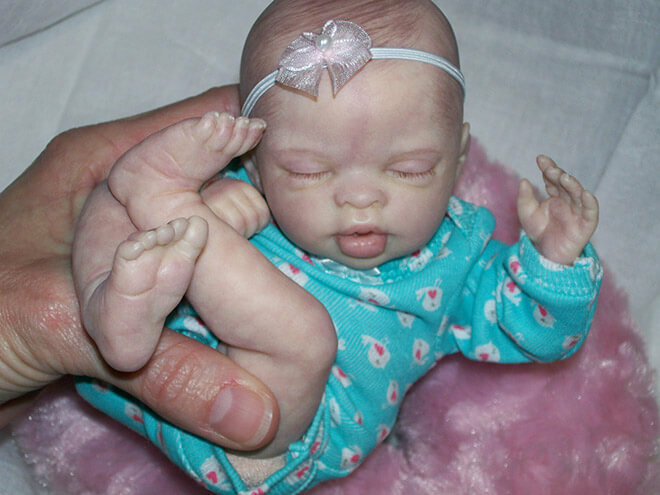 Juliet is a beautiful baby. Up close she looks a little scary. On the inside, she’s just a doll. 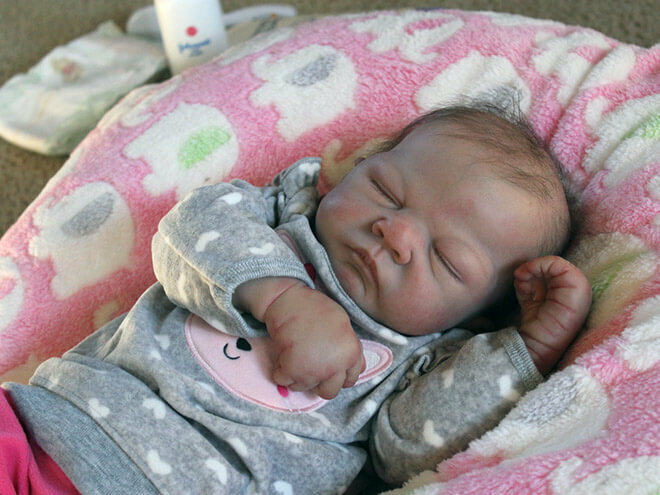 She’s asleep and I can’t get it out of my head that she’s just a doll. 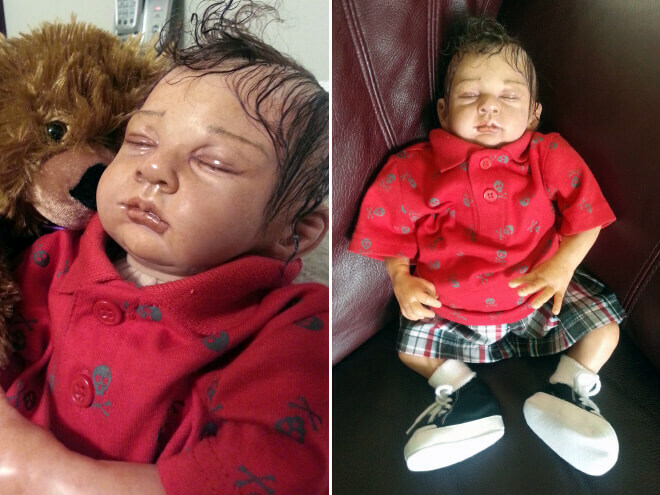 This baby looks insanely real. So real, it hurts your eyes.